Read the full post at Better Institutions. 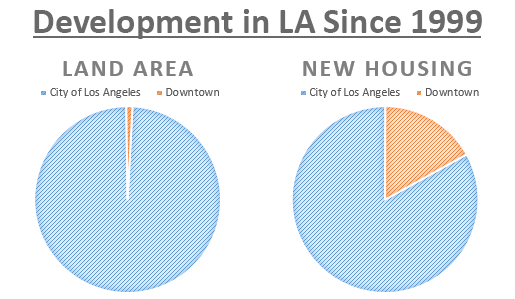 Since 1999, Downtown LA Has Built a Fifth of All Housing In Los Angeles. 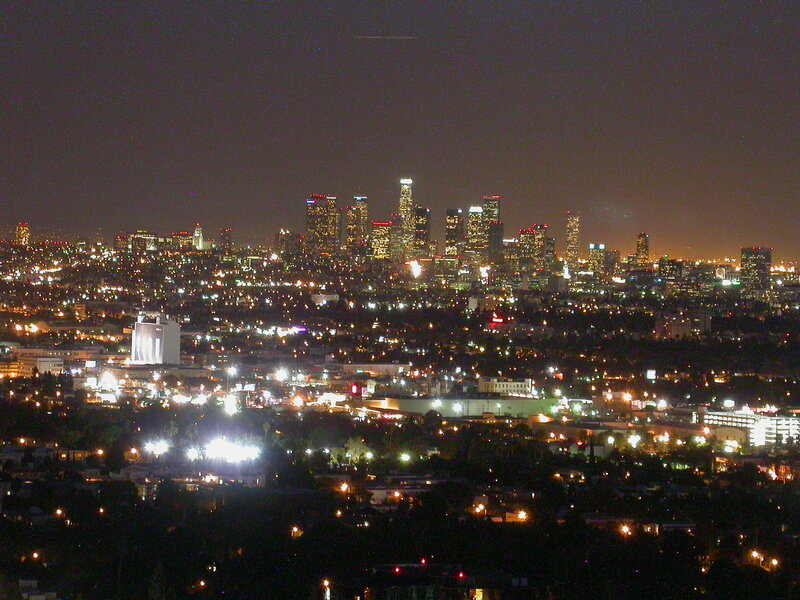 In a city of 470 square miles, Downtown LA is a speck: five square miles, barely one percent of the total area. And yet, since 1999, approximately one-fifth of all residential construction in the city has occurred in this relatively tiny space. And there’s a lot more coming. 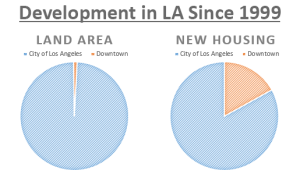 Downtown makes up one percent of the land area in Los Angeles, but it’s accounted for twenty percent of new residential construction since the Adaptive Reuse Ordinance in 1999. Chart by Shane Phillips. According to the Downtown Center Business Improvement District’s 2014 Market Report, nearly 20,000 units have been built Downtown since the approval of the Adaptive Reuse Ordinance in 1999. 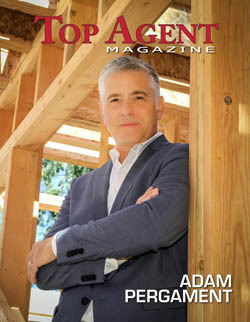 Another 20,000 are in the development pipeline, likely to be built in the next 5-10 years. In contrast, data from the California Department of Finance (1, 2) show that the city has added approximately 98,000 new units in the last 15 years. This focused growth has paid off in a big way, as most locals can attest to, and it’s a testament to what good policy can accomplish. Downtown LA is now a Walker’s Paradise, a Top-Five World Destination, or America’s Next Great City – take your pick. In less than 15 years it’s gone from a place to sweep under the rug to a symbol of the city’s evolving embrace of urbanism and multi-modalism. At the same time, this doesn’t bode well for affordability across the metro area. Part of the reason that so much growth has gone Downtown is because most of the city is essentially off-limits to new development. While other neighborhoods fight to limit the construction of new housing, increasing pressure on the price of existing homes, Downtown has taken a very different tack, attempting to discourage under-utilization of valuable land in the urban core. But one neighborhood can only do so much. Without concentrated, transit-oriented growth across more of the city we won’t make a dent in the demand for housing. And with 500,000 people already spending too much on their homes, the problem is only going to get worse.